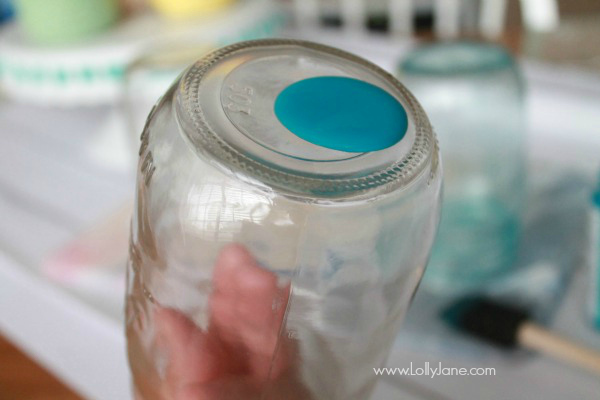 Coat each jar in Turquoise Gloss Enamel. 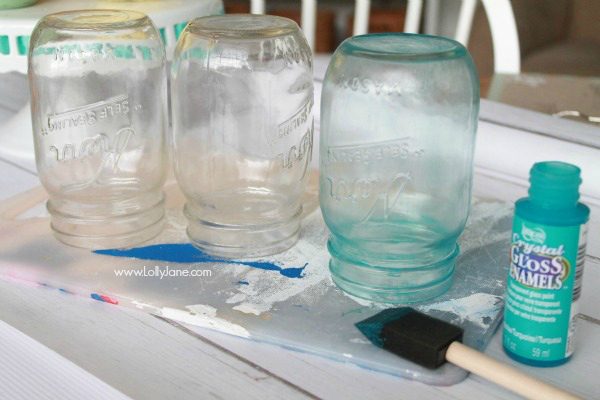 Brush around the mouth of the mason jar first, then around the body, leaving the bottom for last. Let air dry upside down. When it’s dry to the touch, repeat painting with the White Glitter Enamel to give it some shine! 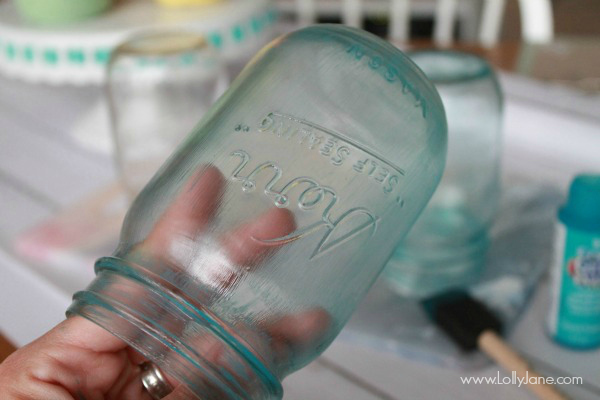 Bake for 30 minutes at 275 degrees to seal your new glitter blue mason jars! 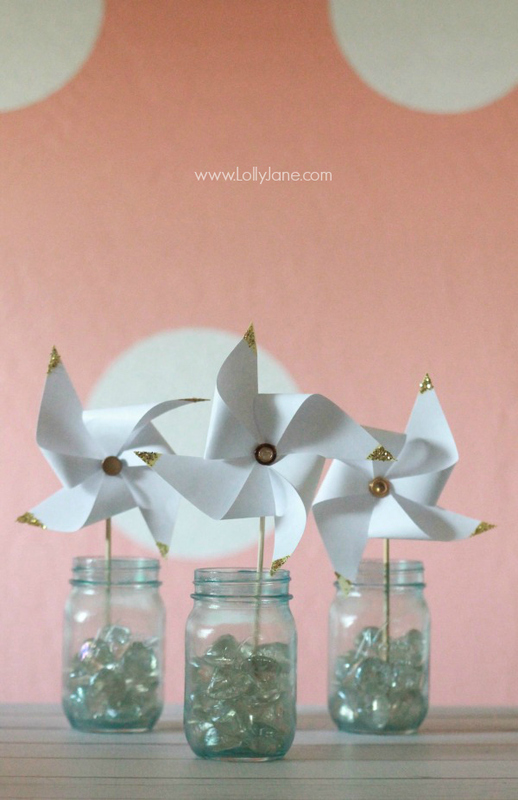 These are simple to make and look classy standing alone as a collection or filled with craft supplies like our distressed mason jars, filled with summer paper pinwheels or used as mason jar jewelry storage, as shown below. 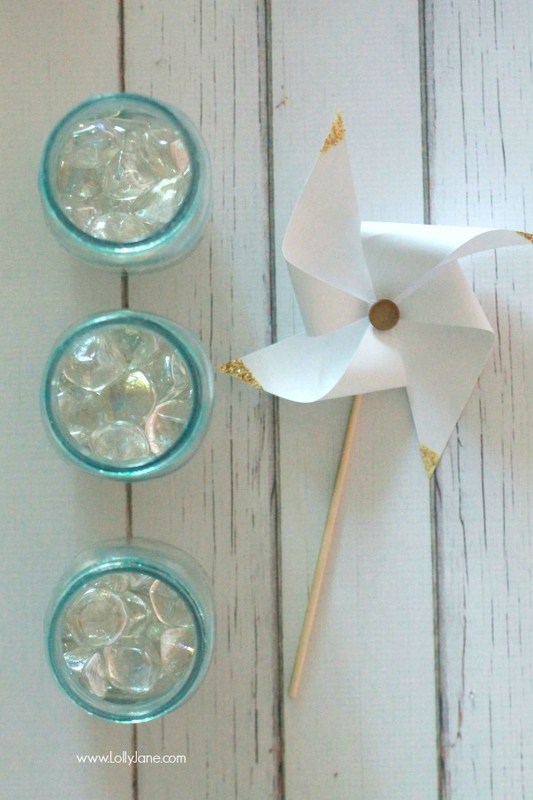 We like them paired with our gold dipped pinwheels. 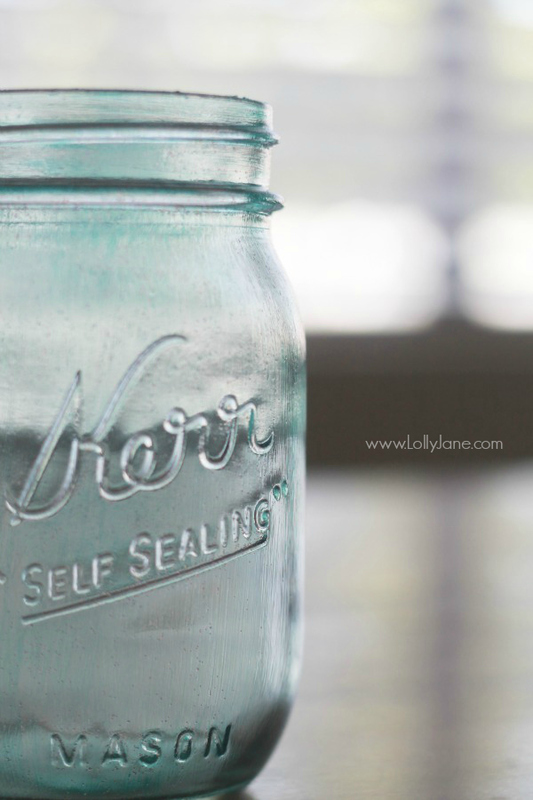 We just love the hue of this blue color, especially around the rims of the mason jar. 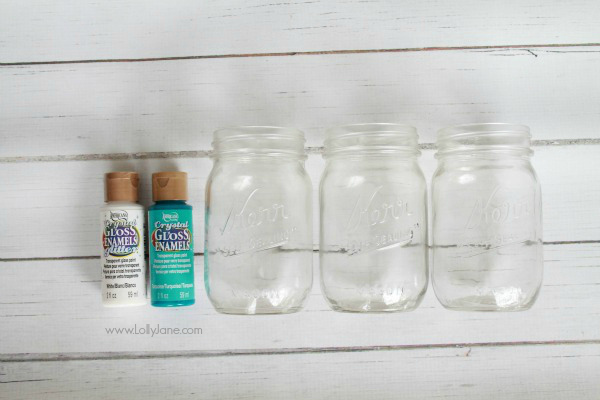 Come visit us anytime on FB, Pinterest, IG or Twitter to see what we’re decorating!